This is one of my staples during the cool fall months (and into winter…and possibly spring…it’s that good!). Super easy to make, and low in sugar and carbs and it’s vegan friendly. 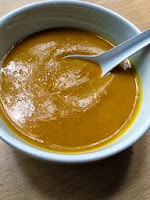 Now, don’t let the “vegan friendly” part scare you off; this is an amazingly filling and calorie-light soup that will get you in a festive-fall mood fast! Plus, butternut squash is super high in vitamin A (you’ll get over 100% of your daily recommended intake). Vitamin A is required for the development of eyes, skin, and immune system. So it’s important. AND it has the super spice turmeric which is believed to aid in digestion, prevent Alzheimer’s disease, heal wounds, ward off cancer, control diabetes, relieve arthritis and a bunch of other awesome things. Makes you kind of want to just eat a whole canister of it, right? Don’t, that would be gross. But DO eat this soup! medium-low and simmer uncovered until squash is tender, about 10 minutes. Eat a muffin, lose the muffin top! I fed the blueberry muffins (above) to my husband, who love calories, fat, wheat and dairy, and he was shocked that they were low-calorie, low-fat, gluten-free, and dairy-free. Ha, I totally got him! Taste for yourself; they are crazy addictive. my toddler ate six of them behind my back (sneaky buddy! ).AND because it's fall and there are pumpkins everywhere, I thought I'd try to makeover a pumpkin muffin recipe as well..success! Click here for my E.H. 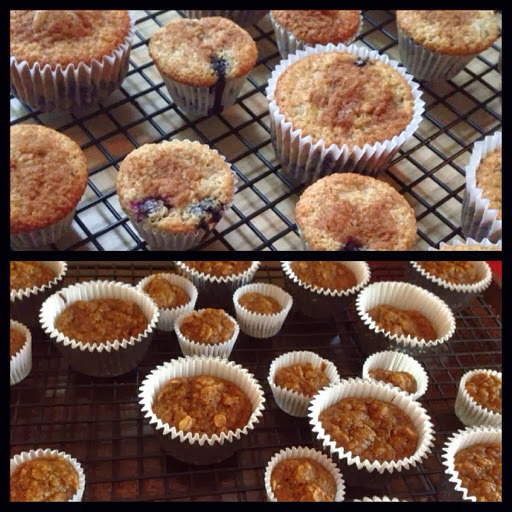 Fitness Blueberry Muffin Make-over as well as a workout to get rid of your muffin top (or keep it off!) on the amazing feed me kc site. Pre-heat the oven to 375. Combine all dry ingredients (oat flour that you made, sugar, salt, pumpkin pie spice, baking powder, baking soda, cinnamon, nutmeg, old fashion oats), then mix in all wet ingredients. Tough, right? Fill your muffin tins ½ full (like ¼ cup for regular sized muffins and about 2 TBSP for mini muffins). Bake normal sized muffins for 15-18 minutes and mini-muffins for 10-12 minutes. They are done when a toothpick comes out goop-free. Cool before diving in. These are crazy-unbelievable nutrition facts…don’t get carried away. The entire batch will still set you back over 1,300 calories. But for one normal sized muffin: 76 calories, 15 carbs, 1 gram fiber, 1 gram fat and 2 grams protein. For the mini ones: 38 calories, 7 carbs, 0.5 grams fiber, 0.5 grams fat and 1 gram protein. 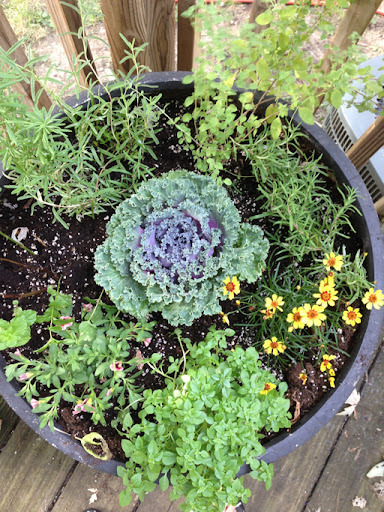 There’s still time to harvest that Kale in your garden (or at your grocery store) and make delicious kale chips. Plus, do you know the best time of day to workout? 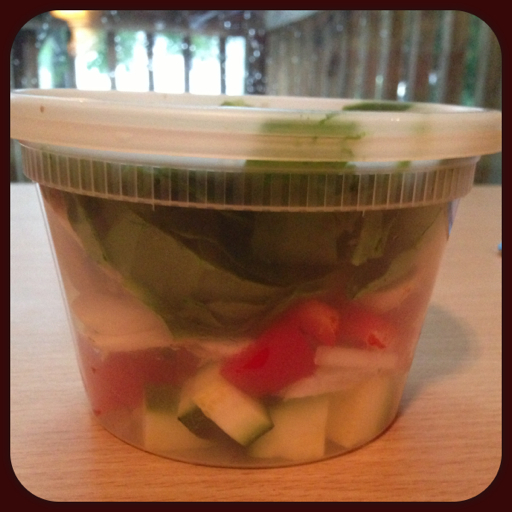 Click here for my newest recipe on feed me kc and a bit about workout timing. Chop-chop! You know I’m a huge fan of veggies, so now when I cut something up, I cut up a lot of things at once and put them in ready to go containers. I already have the cutting board out and am working on my cutting motion, so why not add a few more veggies in there, it takes like 2 minutes. Today, for example, I was making an omelet with stupid amounts of veggies, so I just cut up all of the onion, pepper, a couple more zucchini and spinach and threw some into some containers to use as salad toppers and future omelets. I also cut up strips of carrots, peppers and celery and put them in snack sacks for on the go munching. On the double! Double your favorite healthy, go-to recipe and then have it for leftovers instead of stopping to grab dinner on the way home because you don’t have time to cook. No excuses…it’s already cooked. Cooking chicken breast or some other lean protein? Make a ton of it and keep it in the fridge for meals, snacks, etc. so you don’t have to take the time to cook it when you don’t have time. Same goes with eggs…hard boil a dozen, throw them in your fridge and viola, a protein packed snack on the go. Hop to it! If getting in an hour workout just doesn’t seem remotely possible, do 10 minutes at a time or go for the more intense workouts like plyometrics (jumping movements). Here’s a 15-minute one that is a calorie torcher and stress buster! FINALLY, it’s starting to feel less like the middle of summer and more like the beginning of autumn…hurray! That means that you can take your workout to the outdoors without fear of heat exhaustion or stroke. 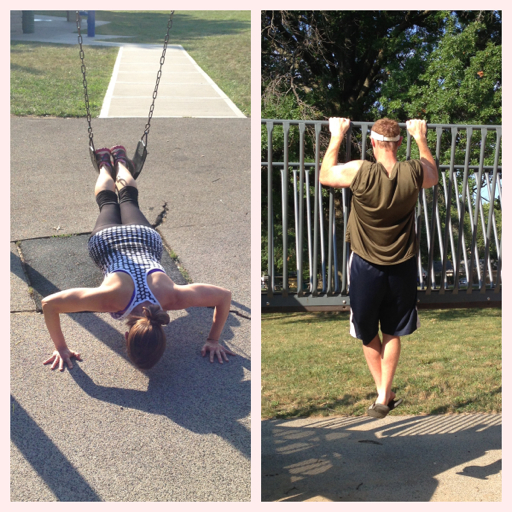 If you want something different than basic body weight exercises when you work out, play around…on a playground! That’s right, you can use all sorts of super fun playthings to inflict a good hurt on your muscles. My husband and I took turns pushing our 2-year-old son in the swing while using the playground equipment ourselves on Sunday. Here’s a sample workout to build lean muscle while playing with your kids or crashing a playground party. · Incline sit ups or crunches on the slide…feet are going up the slide…hard, right? Only have 15 minutes to workout...make it count! If you overindulged this last three day weekend, here’s a simple (but super tough) quickie workout to burn some of it off. Do each move for 30 seconds before moving on to the next one. Repeat the list of moves 5 times (without breaks it should take you a sweaty 15 minutes to complete).